Here is the redacted Mueller report, all 448 pages of it. Mr Pompeo “spouted reckless remarks, hurting the dignity of our supreme leadership … to unveil his mean character“. I’m sure their positions are secure. Surely nobody that we know would blame them for telling the truth. Hey, White House officials – just remember to go full Omarosa. Tape every word of your exit interview. In several states you need a party’s consent to tape your conversation with them, but in the District of Columbia, you do not. It is a “one-party consent” area. The Supreme Court – is FUCT up? 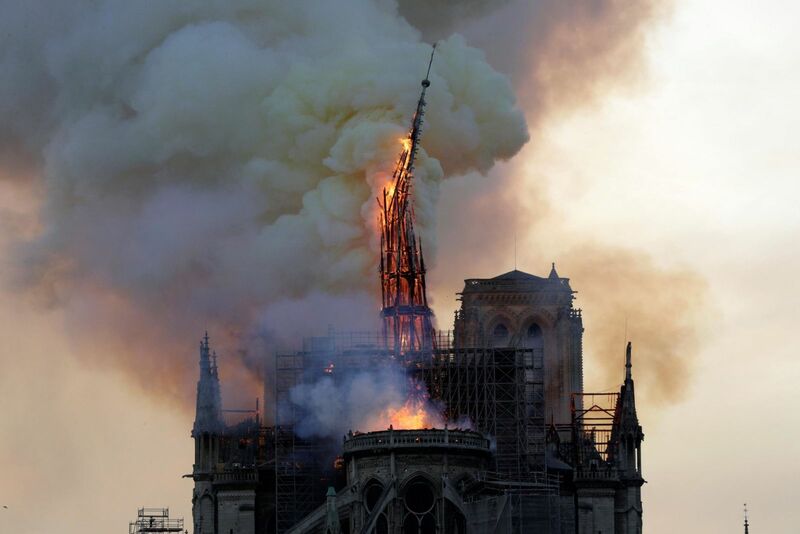 The fire led to the collapse of part of the famed, symbolic spire. No cause has yet been identified. The media did a bang-up job on this. CNN produced the stunning gallery linked above, and their photographer caught the spire at the moment it collapsed.